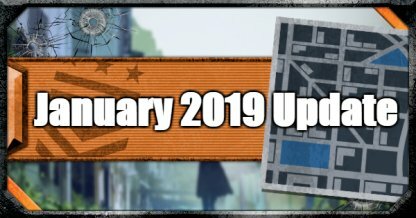 Check out the January 31 update for CoD: BO4! 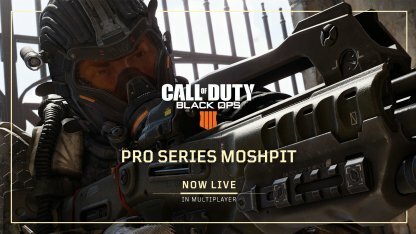 Find out details regarding the Pro Series Playlist in Multiplayer, the new Blackout weapon camo progression system, and more! Get a chance to play like the Pros in the Pro Series Playlist in Multiplayer matches. The playlist is a random combination of game modes with restrictions for maps, modes, weapons, specialists, and more! The restricted items listed above will not be included in the Pro Series Moshpit playlist. Plan your loadouts accordingly to best suit your needs in the available maps & modes. Be careful where you're pointing your gun! Friendly Fire is enabled in this game mode, meaning that you can damage your allies! You will be able to earn double the Merits in Blackout Mode throughout the weekend to level up your Echelon. The tables below show the event duration, and time conversion tables for different time zones. 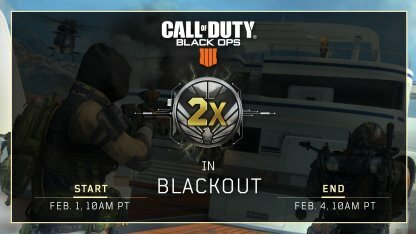 You will be able to get Double Merits in Blackout during Feb 1, 2019 to Feb 4, 2019. For PC and XBOX One players, the Down But Not Out mode for Blackout is the Featured Playlist until Tuesday, Feb 5, 2019. Survive longer in Duos, and Quads as long as one of your allies is still alive! Blackout will feature a unique weapon progression system to unlock different weapon camos for you to equip. These include the Gold, Diamond, and Dark Matter camos. You will not need to rack up headshots per weapon to progress them. For you to progress toward your weapon camos, you will need to keep an eye out for a new resource: Paint Cans while exploring the Blackout Map. You will be able to keep the Paint Cans you find while out exploring the world. These Paint Cans will allow you to unlock whichever Weapon Camos you want in any order. There will be a new Gauntlet Mode, "Veni, Vidi, Zombie!" for PS4 players. This will bring with it new challenges for you to conquer! Veni, Vidi, Zombie will be playable on the IX map. You will now be able to use different Weapon Camos in Zombies. These include the Mastery Camos (Gold, Diamond, Dark Matter), as well as Mastercrafts, Reactive Camos, and Black Market Camos. You will be able to track your progress towards unlocking these Camos under the Armory in Zombies Mode. The Armory will also track your progress towards unlocking Reticles via the Reticle Challenges.